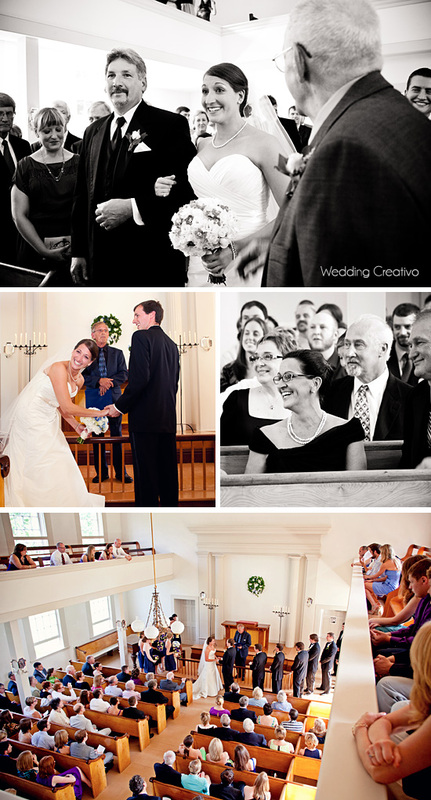 Kate and Brian's destination wedding in Cooperstown, New York was filled with lots of laughs and happy tears. One of the most memorable moments was when bride Kate, who is normally cracking jokes and keeping everyone around her in stitches, became overwhelmed with tears as she walked down the aisle. So much, that she found herself surprised that she could not stop crying. 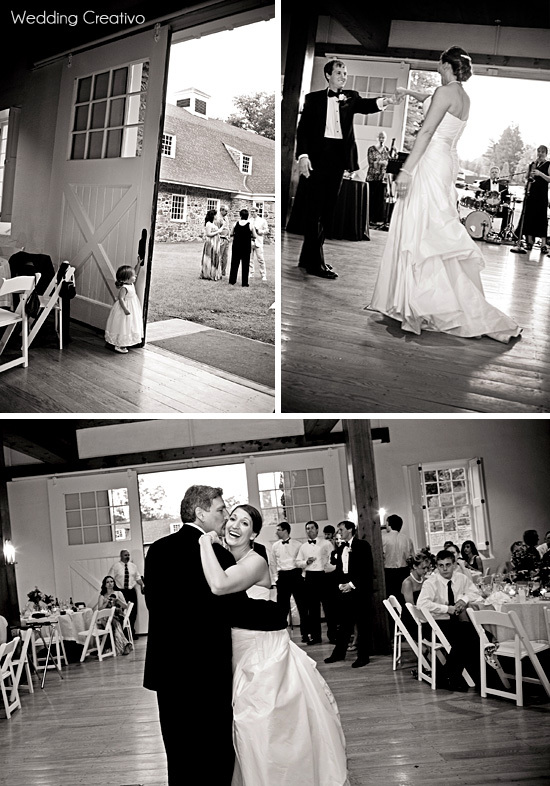 But, eventually she and everyone else broke out in a big laugh at the ceremony, and then the laughs carried on all throughout this fun wedding day. 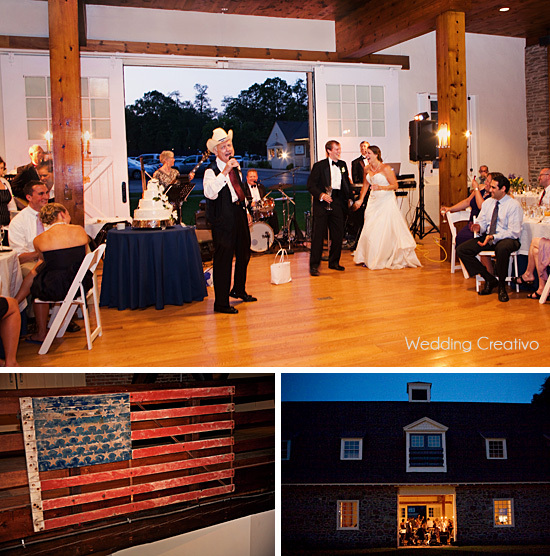 If you've heard of Cooperstown, you may be thinking this was a baseball theme wedding. Well, it turns out there is more to Cooperstown than the Baseball Hall of Fame. 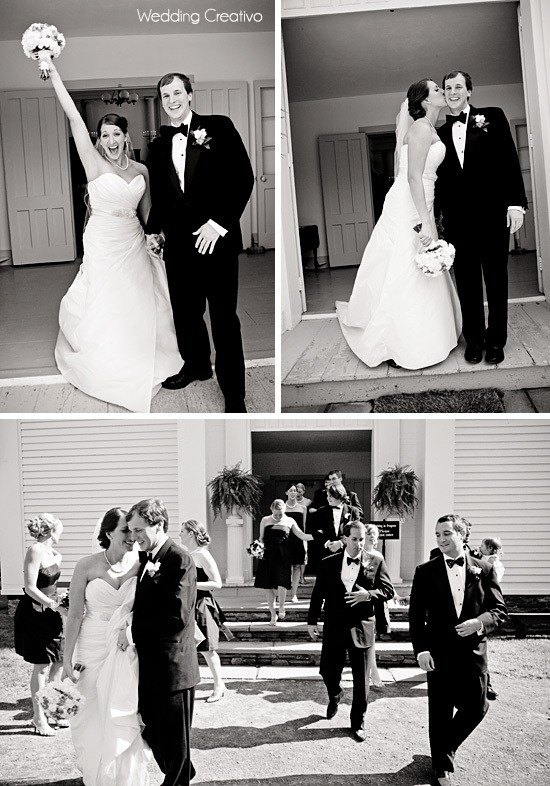 Guests traveling to this destination wedding enjoyed the weekend in cozy bed and breakfast cottages, such as the Landmark Inn where the bride and bridesmaids started in the morning, or the historic Otesaga Resort Hotel, where the groom and groomsmen gathered before heading to the wedding. 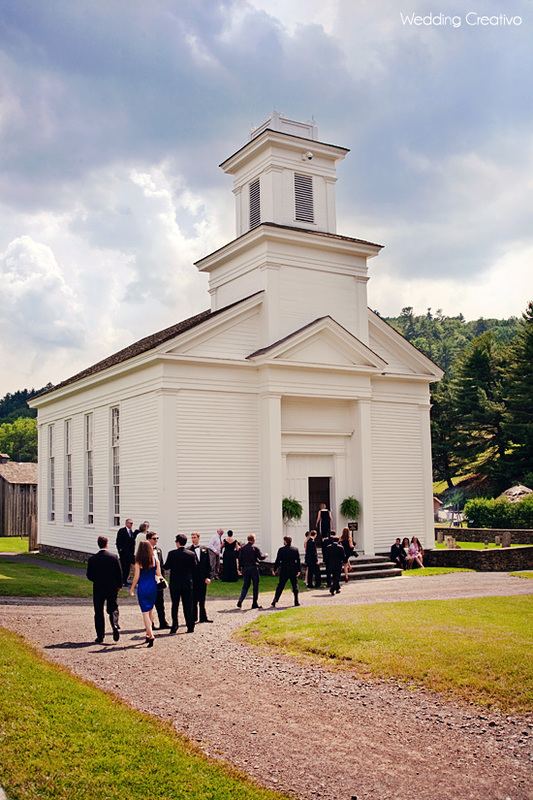 The church ceremony and barn reception were both located on the grounds of The Farmers' Museum. 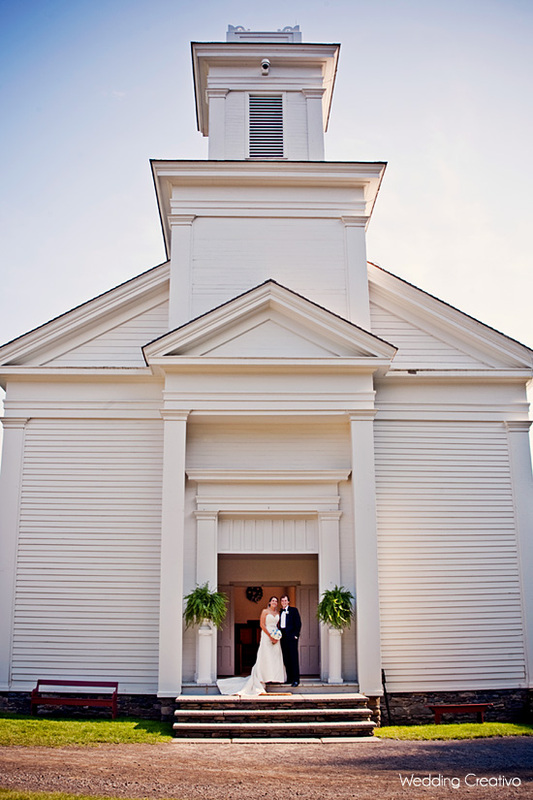 The wedding fashions and details were primarily classic with elegant touches of country charm. Kate found her lovely Pronovias gown at Dimitra's Bridal in Chicago. The bridesmaids wore blue knee-length Ann Taylor dresses. The gentlemen wore their own black tuxedos with black bow ties. 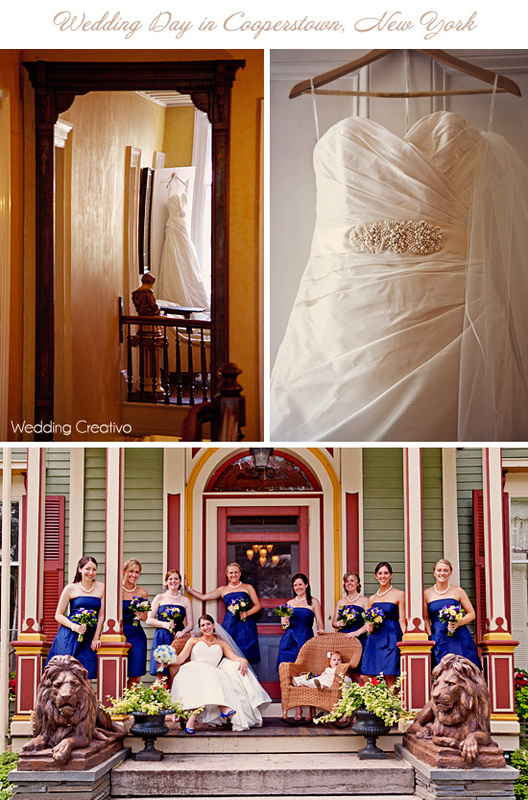 The vibrant blue color was carried over to the bride and bridesmaids' shoes, as well as blue, violet and yellow flowers. The ceremony was performed by Rev. 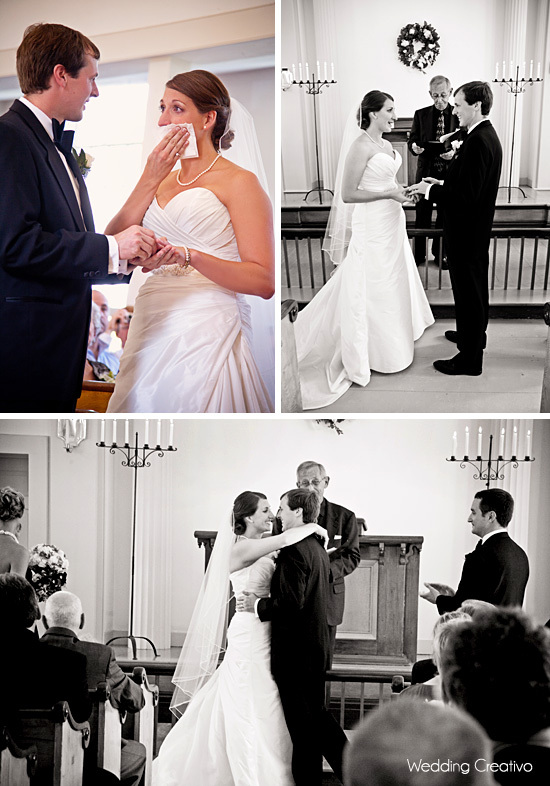 Jon Noble, makeup and hair by Renee Dugan, and event services provided by Flowers by Suzanne, Marjorie Landers cake, and Big Fish Combo band. 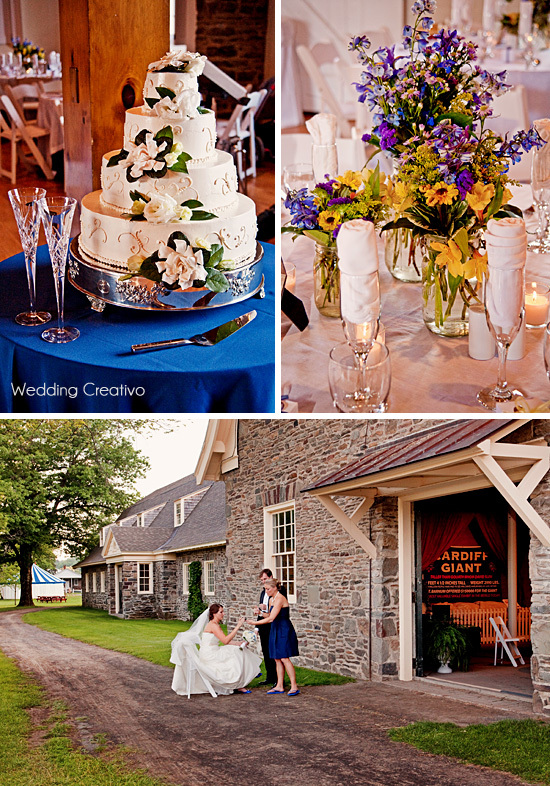 The wedding dinner catering, as well as the welcome dinner the night before was by Templeton Hall.